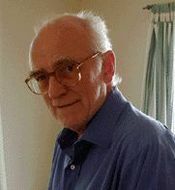 DONALD E. WESTLAKE has written numerous novels over the past thirty-five years under his own name and pseudonyms, including Richard Stark. Many of his books have been made into movies, including The Hunter, which became the brilliant film noir Point Blank, and the 1999 smash hit Payback. He penned the Hollywood scripts for The Stepfather and The Grifters, which was nominated for an Academy Award for Best Screenplay. The winner of three Edgar awards and a Mystery Writers of America Grand Master, Donald E. Westlake was presented with The Eye, the Private Eye Writers of America's Lifetime Achievement Award, at the Shamus Awards. He lives with his wife, Abby Adams, in rural New York State. First Time in Print for 35 years!